Home » Law Life » Celebrity Sightings! This morning, my weekly workout schedule said it was time for a 4 mile run and hot yoga! 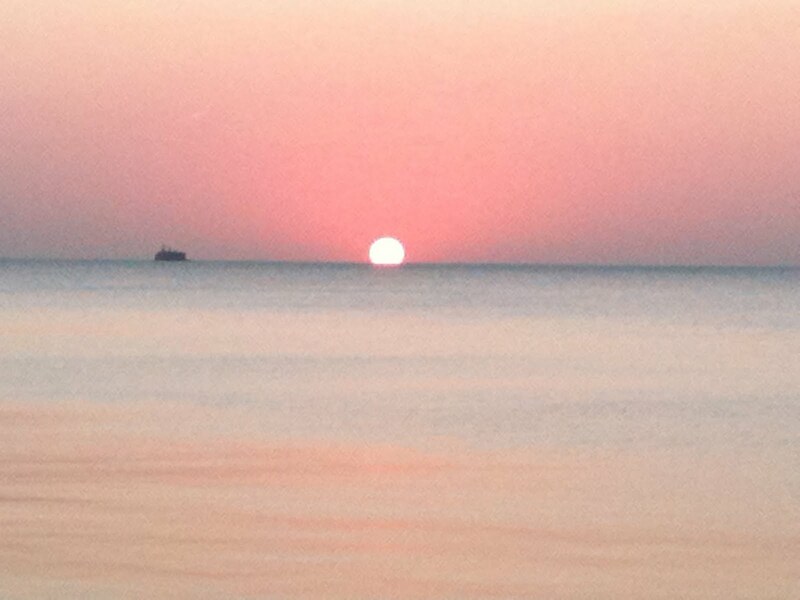 My run was gorgeous – I got out there bright and early and watched the sun rise over the lake! My run went pretty well. Since it was my third running day in a row, I decided to try and slow it down a bit. I ended up running 4 miles in just under 36 minutes for a 9:02 min/mile pace. I’ve decided that the Hal Higdon plan is just not going to work for me. He has me running 5 days a week and since my knees don’t really handle that very well and I was recently out on an IT band injury, I’ve decided to follow the SmartCoach plan, which spreads out my runs better. So what about these celebrity sightings?? Yesterday, my law school hosted Justice Breyer from the United States Supreme Court!!! Hahaha, okay, I’m sure most of you have never even heard of the man. But when you’re a law student and you hear about his opinions, see films of his debates in class and read his written opinions (from trials) in your book, you think this is pretty darn cool. My second celebrity sighting was Cate from Good For You! It turns out her sister is my sorority sister! Once I figured out the connection, I had to try and meet up with her! She had recently moved here to Chicago and has loved the city! We met up at Sultan’s Market, which is really close to my apartment, but I’d never been! It’s a middle eastern restaurant with very authentic food, and other products that they sell. Honestly, I was a bit scared. I wasn’t sure if it was somewhere I could just walk in and pick up, or if it was a sit-down place… But I mentioned it to Cate and we decided to go! We went to the Lincoln Park location, but their original location is in Wicker Park and, according to Cate, much larger. They are a family-owned restaurant that opened in Chicago past twelve years ago. I decided to get the falafel sandwich. I forgot to take a picture (per usual…) but it was absolutely delicious! I gobbled that thing right up! Haha, mine didn’t look quite this pretty, or big, but you get the idea. Cate also got the falafel sandwich – she’d tried it before and loved it! I had a great time chatting with Cate. 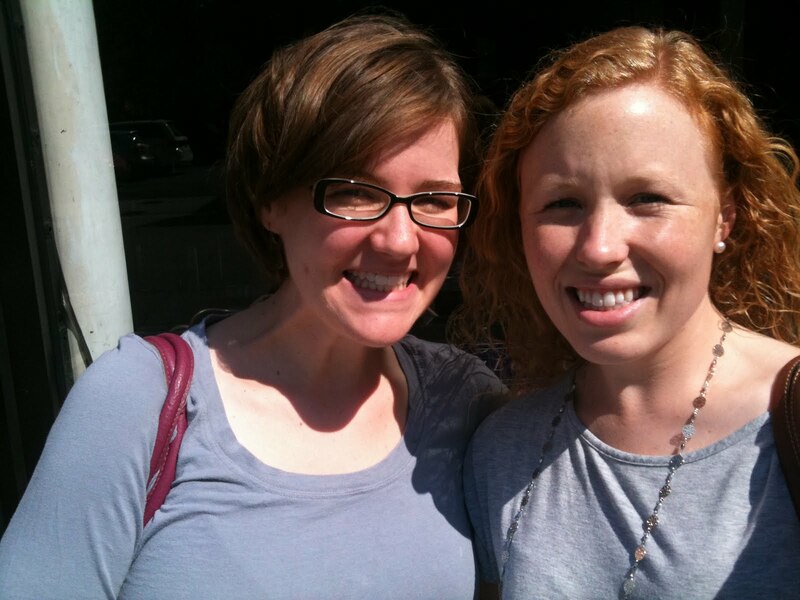 It was so nice to get to hang out with someone who has a lot of the same interests and we have a mutual friend/sister! Cate and I are hoping to meet up again to try out some other great places to eat around Chicago – I’m hoping to find a fun food tour, so look forward to that! I managed to get one iPhone selfie of us… lol but clearly my eyes were a bit squinty! That’s what I get for a photo looking into the sun… I try. Have you met or seen any new or interesting people lately? Or tried any new foods? What I love about blogging is that it’s a great way to connect with people and meet new friends!